Catherine: I used to be really active when I was younger with gymnastics, but all of a sudden I became a couch potato. I wasn’t interested in doing much of anything. We were a busy family and ate a lot of fast food, and the weight just kept adding up without me really noticing. Anne: I cooked fattening food before. 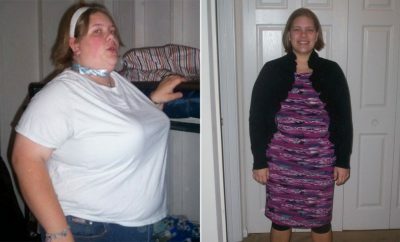 I was having health issues related to my thyroid, which can cause weight gain. I didn’t like what I saw in the mirror, and my self-confidence was low. Except for house-cleaning, I never exercised. Catherine: My freshman year of high school, I just realized I had let myself get to this point where I felt enormous. 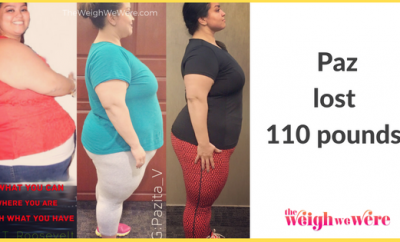 I couldn’t believe I had gained that much weight that quickly. I also had to have my gallbladder taken out. My doctor said the problem was primarily due to my diet and my weight. I knew I needed to get down to a healthier weight. Anne: Two years later, I made the conscious decision that I am worth it. I wanted to be healthy for Catherine, for my husband, for my oldest daughter. I didn’t want to leave them with a mother who was overweight and unable to be there for them in the future. I knew if Catherine could do this, I could do it too, with her support. I asked her to be my support system, and what did you say? Catherine: I said I would be with her every step of the way. Anne: As a mother, I always want what’s best for my family. I knew Catherine was overweight. When she came to me asking for help, I knew we had to find the right program, but that she’d have to commit 100 percent. At the time, Jenny Craig was the only program that would accept adolescents. I knew it was a well-established program, but took the time to discuss it with our physician. I went in with a lot of questions like any parent would. Catherine: I started walking about 30 minutes a day with my parents. I ate the smaller portions recommended by the Jenny Craig plan. Even though it was much less food than I was used to, I never felt deprived. Lots of vegetables helped fill in those hollow spots. We live in a big walking community, so it felt really nice to get outside and participate in that, instead of just sitting inside in front of the TV. Now, I dance with my chorus in a variety show every spring. I never would have thought I could dance without getting winded! My mom was constantly there with me, at Jenny meetings to see my consultant, always lifting me up. I started to plateau a little in my weight loss toward the end and my mom was the one who picked me up and said, “You can do this!” I have so much more energy and confidence, I feel like I’m ready to do and be more. Anne: I had to totally re-learn how to cook properly, how to get the foods on the table that would set Catherine up for success. Cutting out fried foods was top priority. We also cut out most red meat in favor of leaner options. We do a lot of grilling and eat lots of fish, which we didn’t even consider before. We’ve discovered a lot of different ways to add vegetables, fruit and more water to our diet. We’re a busy family, like many families are, and convenience and laziness would often lead us to the drive-thrus. I had to stop that roller coaster and start cooking at home. We do still eat out once in a while, but we try to eat in as much as we can. It’s rubbed off on my husband, too — he’s lost 80 pounds! It has transformed our entire family. It took me three months just to be able to walk without getting winded. I had to slowly build up an exercise regimen, but it felt doable. My consultant helped me make small adjustments to my exercise routine to see continued results. Today, I walk at least three days a week, and I go to the gym twice a week and do Zumba or a R.I.P.P.E.D. class. I loved having Catherine along for the walks, it gave us special mother-daughter time to talk and bond that we didn’t really have prior to that. It helped strengthen our relationship. 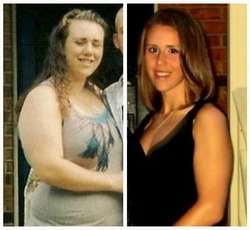 Jenny Craig has allowed our entire family and my relationship with Catherine to be totally transformed. We’re more health-conscious, eating well, staying active and enjoying being with one another.